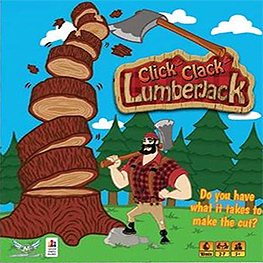 You and your fellow Lumberjacks take turns hacking at the tree, trying to strip the bark while leaving the trunk itself standing. +1 point for bark that comes off, and -5 points for any centre trunk segments. Highest score wins!